The Rev. Matthew Martin and Sister Doreen McGuff enjoy the Stations of the Cross at the Sisterhood of St. John the Divine in Toronto, Ontario during a workshop entitled, A Day with the King. Coming to the Sisterhood of St. John the Divine in Toronto, Ontario in 1965 for a vacation, Sister Doreen knew by the second day she wasn’t going to be a teacher. She was going to stay. She had found her home. Life continued, and threw her twists and turns. One of her biggest obstacles came in 1999 when she suffered a heart attack and had to have bypass surgery. It took her a full year to recover and she thought she would never escape “that grey place.” “I could only walk 100 meters in the beginning.” As she walked she would quietly sing Love Me Tender. It became her mantra. Slowly her distance and speed increased, and as it did she had an epiphany – God is beside us through our toughest times and walks at our pace, whatever that pace may be. In 2006, pondering scripture, Sister had a thought that inspired an Elvis workshop; tying together the music and words that dramatically converted her soul. She was getting frustrated over the things the church was fighting over and the list seemed endless. She pondered what other generations would think when they looked at hers. She felt hope needed to be rekindled. So she created and ran the workshop with much success, and in the years following was nudged to do it again, but it never felt right. 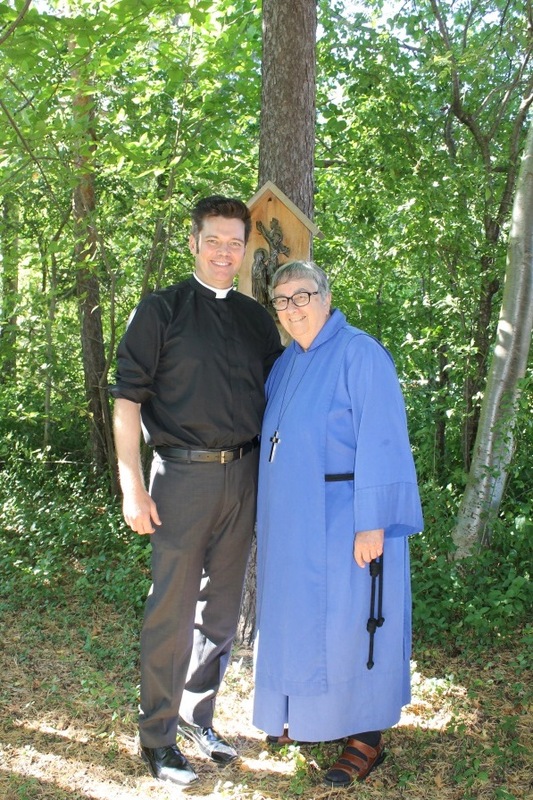 Until one day, when someone “with beautiful wavy hair, incredible good looks, and a low voice began to sing.” Reverend Matthew Martin was at the Sisterhood as a postulant working through his assessments to become a priest. Everyone at the convent knew how much Sister Doreen loved Elvis and Rev. 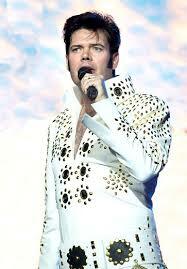 Matt just happened to be an Elvis tribute artist. Something he had been doing since the tender age of six. When someone told Rev. Matt about Sister’s affinity for the “King” he came into the convent dining room and sang Love Me Tender. And that clinched it! It still took several years, but once again the workshop came alive. This time much to Sister’s satisfaction, she had Rev. Matt in person playing Elvis rather than playing videos. There were also peaceful moments as people walked the labyrinth or visited the convent’s outdoor Stations of the Cross. One participant said the more she heard Rev. Matt sing, the more she found the songs moving. Many times during the event one could look across the intimate audience and see people’s eyes closed as they listened intently to the powerful words they maybe didn’t recognize in Elvis’ work before now. This article has touched my heart. Amanda has captured the message well. Thank You All for this. Reading this is a taste of what transpired at the retreat…God Bless You.